This workshop is 3 hours. 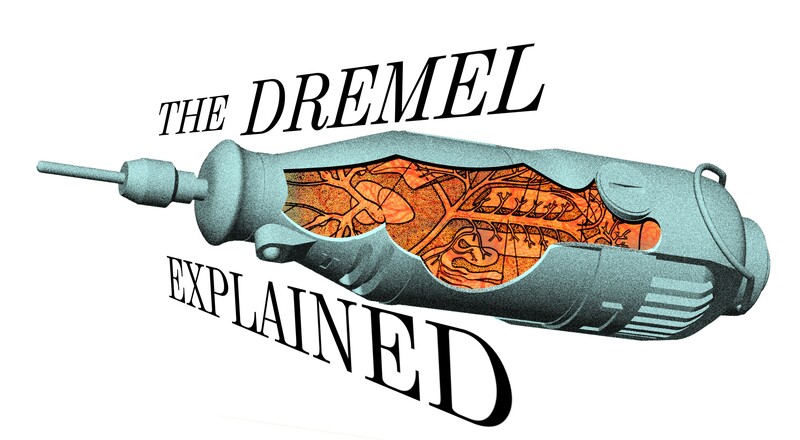 Ever wonder what all those accessories are for in your Dremel kit? Or maybe you bought one but are too frightened to use it? In this one info-packed evening you will gain a comprehensive understanding of this versatile, but often intimidating, tool. Found-object 'Stuffsmith' Keith Lo Bue will describe and demonstrate many of the fantastic techniques you can have at your fingertips, all with an emphasis on safety and proper operation. (Note: this is an information/demonstration class; no supplies beyond pen & paper are required). No supply list - bring your tool/bits if you want to have them in your hand. Pen and pad for note-taking.